What does it take to be a great teacher? Tom Fay asked pupils to name their desired traits, and shares the responses. Everyone remembers a great teacher they once had. You may not remember exactly what they said or did, but you will certainly remember how they made you feel. Their impact can last a lifetime and create opportunities we never thought possible. Training our teachers to improve their credibility among pupils is symbiotic with the craft of learning, especially for those new to the profession. After all, pupils can make up their minds very quickly on how they feel about their teachers. Poor first impressions can stand uncorrected for a long time! In our NQT training programmes, I have started to include content on the following single agenda item – ‘do you have the X factor?’ Why have I done this? you might ask. Without credibility, teachers' pedagogy is largely ineffective. Pupils favour certain personality traits, which directly or indirectly influence learning (this is correlation, not a causal relationship). When it comes to discussing teachers' traits, the school grapevine is small. There may even be an unofficial league table of teachers in your school ranked from best to worst. In truth, more experienced staff could make a reasonable guess as to where they sit on it! 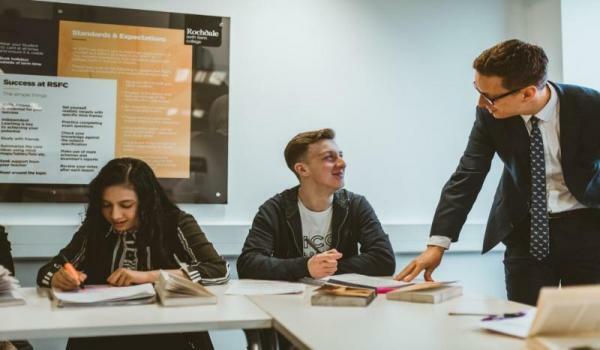 ITT and traditional PGCE training courses rarely afford enough time to developing a teacher’s behaviour or personality traits, or to underscoring their importance in the learning process. Every teacher has a distinctive personality, but not every teacher is a personality. Teaching can be emotionally and physically draining, and you need the support of others to succeed. There is no manual to help us simply change our personalities. However, there are ways to tweak our behaviour so that it better facilitates teaching and learning. What type of person do you have to be to teach well? What personality traits inspire pupils to learn? Is there a correlation between certain personality traits and outcomes for learners? What is the difference between professional characteristics and personality traits? We recently surveyed a sample cohort of 300 pupils from schools across the North West of England in an effort to find out what traits they value the most, and why. came from a variety of school types: a state maintained school, an independent school, a sixth form college, a special school and a pupil referral unit. Most of the data collection work took place over the last six months, and we made every effort to get a representative sample from each school type. The largest cohort size was 60 (sixth form college) and the smallest was five (pupil referral unit). We asked each pupil two questions. What are the professional characteristics of the best teachers? What personality traits inspire learning? The distinction between professional and personal characteristics cannot be stressed enough. Some teachers are highly professional in their conduct, but do not always inspire pupils to learn. Others may be much admired by pupils for their personality traits, but lack the professional characteristics needed to get the job done. Our research indicates that pupils perform better with teachers who exhibit fluidity. After all, the line between exam success and holistic development can frequently become blurred. We also found a correlation between academic progress (measured from baseline data) and how pupils evaluated the teachers with the best professional characteristics and personality traits. We did not supply our survey participants with any examples of either to avoid bias. Below are the top five professional characteristics and personality traits our survey participants identified. These responses are to be taken with a pinch of salt. A teacher's personality traits and professional characteristics must above all match the expectations placed on that school. Take a teacher working in a high-performing private school: what factors are most important to engaging pupils and making progress? Would there be the same pregoratives in an underperforming inner city school? Each school has a defined culture, and the teachers who do best are those morally and personally aligned to work with pupils in that specific environment. That said, it's noteworthy that the participants in our survey came from a range of very different school types. How much their answers tell us about the impact of certain traits on learning and progress is diffificult to assess, but it would be fair to say that collectively, they offer a glimpse at the coveted 'X factor'. If the traits identified in the survey would have been your first guesses, that's because the importance of qualities like trust, humour and punctuality has been no great mystery for a long time. But in my experience, it isn't enough simply to know the obvious. Great teachers and school leaders will act on it! I am now working with NQTs to develop their 'presence' and 'credibility' in the classroom. It has also informed my work on behaviour management and training, to which this evidence base has added weight. With a knowledge base such as this the NQTs became more aware of the language they were using with the students, and how every interaction counts in the development of their credibility (both in and out of the classroom). It definitely made them more self reflective and added a layer of thinking to their lesson planning. We need to do more to decode the idiosyncracies of great teachers, particularly for the benefit of our newest colleagues. As we have established, the best teachers are those institutionally fit for purpose. Some schools will require pronounced extroverts who can manage group behaviour quickly and whip up an energetic climate in the classroom. Others will have need for the academic who can construct environments where self-disciplined students thrive. Fluidity is essential. Teachers who are most attentive to the expectations placed upon them, and encourage pupils to be the best possible versions of themselves, are the ones who will make the job look easy.